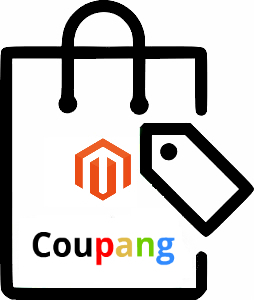 Being a global e-commerce leader, Coupang introduces attractive opportunities for Magento 2 merchants. You can improve your business influence by integrating your ecommerce store with the marketplace. Introduce your wares in a highly convenient and personalized shopping environment by performing the Magento 2 Coupang integration. Below, we shed light on its nuances and provide a fully-featured Magento 2 Coupang connector. Coupang is a continuously growing e-commerce platform that takes leading positions in multiple areas. For instance, it is a number one solution in the are of last-mile delivery. The company owns the delivery process end-to-end including fulfillment centers, trucks, and drivers. Since early 2014, it offers product delivery with the next-day Rocket Delivery service. The dominant position in mobile e-commerce also drives the business success of Coupang. One in every two Koreans uses the corresponding mobile app. Also, note that only less than 10% of Coupang sales are completed on desktop devices. According to MIT Technology Review, Coupang is one of the ‘50 Smartest Companies in the World’. Besides, it is one of Forbes magazine’s ‘30 Global Game Changers’ for 2016. The company is rapidly growing, and its offices are already available all over the globe in Beijing, Seattle, Los Angeles, Shanghai, Seoul, and Silicon Valley. Coupang requires no documents to be submitted for the entry. You only need your business registration number, mobile phone number, and email address for the verification. The next step is related to the Coupang Merchant section of the marketplace. The first thing you need to do here is to enter the shipping information – a place where your goods are exported to and the return destination. Then, you can transfer your products to Coupang. The more information about the items you provide, the more visible to your potential buyers they become. Become closer to customers by improving your product name, category, search terms, attributes, representative images, and product details. Note that product approval takes about one working day. And to provide the most detailed information about the goods you sell, you need a reliable Magento 2 Coupang connector. Since Coupang is a marketplace, you need to be ready not only to provide the platform with product data but also get the corresponding order information back. Thus, we have the first requirement to the Magento 2 Coupang connector – it must be an import/export extension. Of course, you can still use a feed generator to create data files with product information. In this case, orders can be imported to Magento 2 either manually or with the help of an additional extension. But neither of solutions is more sustainable than the use of a module that already combines all the necessary features. A single connector uses fewer resources and reduces the probability of conflicts between modules. Other requirements include the automation of import/export processes including the elimination of problems caused by different attribute standards used by third-party platforms and Magento 2. Considering all the aspects mentioned above, we can claim that the Improved Import Export Magento 2 extension fully copes with the requirements. And below, you can see its core features described. As you might have guessed from its name, the extension is entirely responsible for creating a bidirectional data flow between your ecommerce store and Coupang or any third-party system. To achieve this goal, the Improved Import Export Magento 2 extension supports multiple file formats, connection types, and file sources. In addition to quite common CSV and XML, our module allows moving data between two platforms using TXT. Besides, it fully supports native Excel files. Alternatively to a file connection, you can synchronize your storefront with an external system using Google Sheets. No data file migration occurs. And for more complicated cases, the Improved Import & Export Magento 2 extension allows using API connections. When it comes to file sources, the module lets you import/export data files from/to a local server. A remote server can be used for the same purpose as well. Besides, you can transfer files via a Dropbox account. And the easiest way to import data to your store is related to the direct URL upload. Even if a data is compressed, the Improved Import & Export Magento 2 extension will unzip/untar it. As for problems caused by different attribute standards, they are also solved by our module. There is no need to edit each data file before importing it to Magento or exporting from your store. The Improved Import & Export Magento 2 extension provides a better opportunity. When you configure the integration, the plugin allows you to create a mapping scheme for import and export matching default attributes of Magento 2 to any standards. As a result, any third-party file is edited automatically. As for the Magento 2 data output, it is also modified by the extension providing a third-party system with the information it requires. Also, note that the module includes mapping presets that simplify the integration even more. You can apply the necessary mapping scheme within just a few clicks. Contact our support for further information. As for the Magento 2 Coupang connector, you can get it for free as a part of the Improved Import & Export Magento 2 extension. The module combines dozens of other free connectors. For further information, follow the link below and contact us.